Our new planet-material makes use of actual planetary maps from around the solar system. By blending these planet-textures in the material, a wide variety of planets can be produced that don't resemble our own planets too much. Lava planets, icy planets, earth-like planets, cratered moons, etc. can all be produced with the right combination of parameters. The material even supports clouds, lava-flows, and oceans (as seen below). Several levels have been re-designed for both visual and gameplay purposes. The mission Hammurabi Encounter (seen below) has been overhauled entirely. This mission is larger than before and now has territories that can be captured. This territory-system (similar to Conquest mode in Battlefield) is now present in several missions. 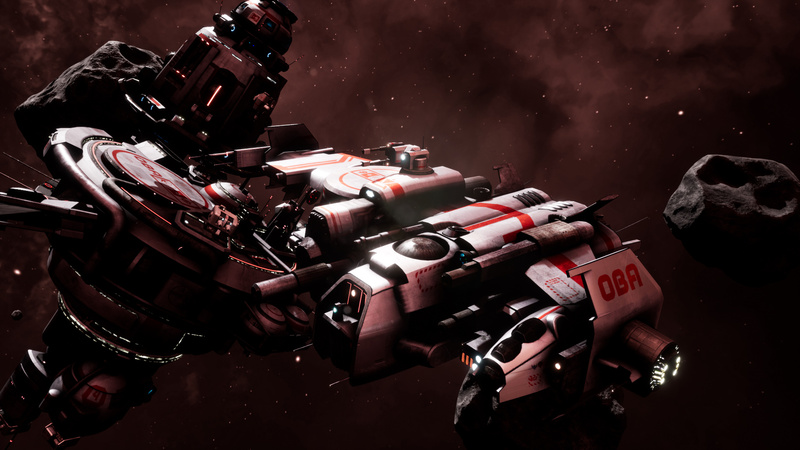 Any armed opponent will contribute to the capturing of a territory, including standalone turrets. New logic was programmed into the AI to accommodate territories. Shadows are no longer pitch black and now receive a subtle amount of light. To achieve this effect, the "skylight" feature in UE4 was used. This feature takes the colors of the level-environment and apply it to the non-directional lighting. For example, a reddish nebula (seen below) will produce some reddish lighting in areas not directly exposed to a star. This effect is clearly seen in the image below. The unlit side of the gunship, outpost, and dropship are all slightly lit with a color that matches the environment. 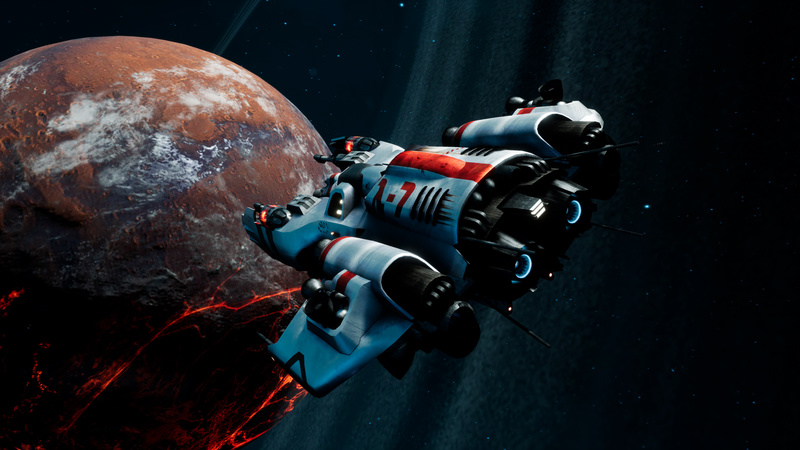 Each asteroid has been re-textured in Substance Painter. This eliminates previously visible UV-seams and gives each asteroid a unique set of textures. 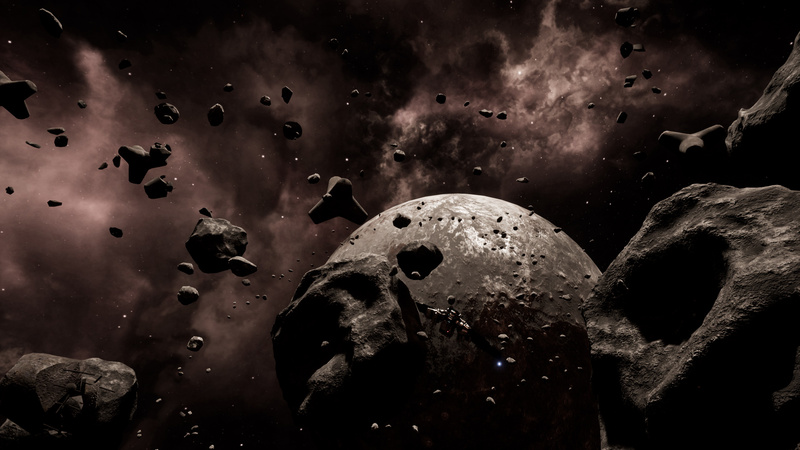 Asteroids look less like one solid rock and more like a mass of many rocks (much like the real thing). 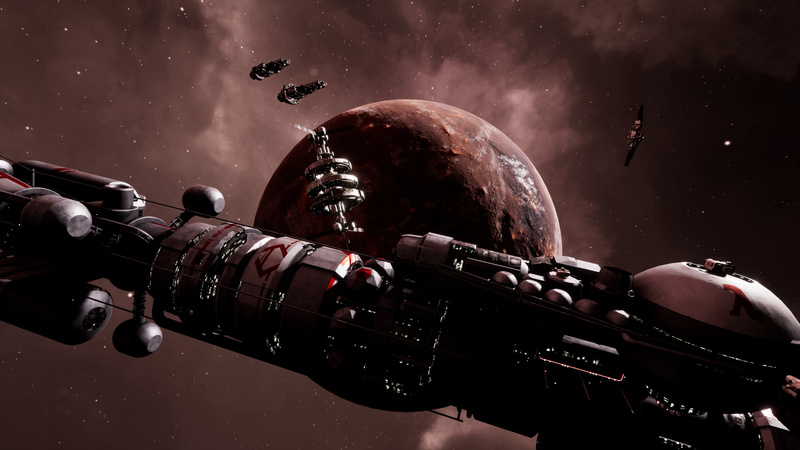 After a month and a flurry of eager Linux testers, the first official Linux build of ASTROKILL is available. The game has been thoroughly tested on various Linux distributions and GPU's. The game can be run on either OpenGL or Vulkan (some Linux setups will favor one or the other). The new Discord server can be found here: Discord.gg It has been critical in the development of a Linux build. When future updates introduce VR, I'm sure it will be used heavily again to debug issues. I encourage any testers/players to use it!